You are here: Home » Does Your Pee Ever Smell Like Hops? Does Your Pee Ever Smell Like Hops? …I was having a bathroom break this morning when something entered my “stream” of consciousness. My back is really bad right now, and I had a few Victory Prima Pils last night to take the edge of the pain. I chose it because it’s tasty, it isn’t too heavy and it isn’t packed with alcohol, which makes it easier to manage my comfort without falling over and making things worse. Anyway, as I was relieving myself this morning, a very familiar scent wafted to my nose. Hops. And not just any hops, the German and Czech blend that gives Prima Pils its distinctive flavor. It was uncanny. Am I nuts, or has this ever happened to you? Is it even possible? ← Wholly Guacamole, This Stuff is Good! My urine wreaks of success. 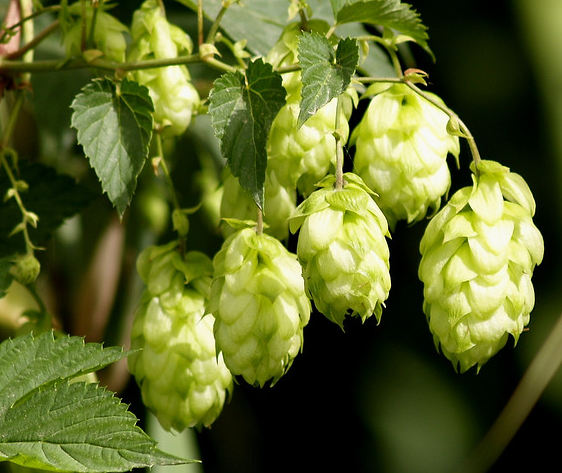 A little research reveals that hops are loaded with aromatic compounds–as would be expected of a plant in the same family as marijuana. Many of these are said to be good for bone density, female problems, sleeping disorders, anxiety, appetite stimulation, prostate enlargement, etc. I’ve got to believe, that just as with asparagus, some of these aromatics will present in urine. “Smelling like plastic or rubber when i pee. Don, you might want share this with your MD next time you go in for a check-up. Wow, you’re thorough – good work! Yeah that kind of attention is something I could do without. One time when my Doc was peering up my nether regions w/ a proctoscope, he asked me if I was doing ok. I said yeah, I’m ok, as long as I don’t feel both of your hands on my back! No, but sometimes my hops smells like pee. I’m on a tight budget. Every morning after my coffee. Smells like a Starbucks. The world’s most poorly run Starbucks…but…yeah. When that happens to me, I always feel like I’m wasting coffee. But there’s no way in hell I’m recycling it! I do find that when I drink a lot of dark beers it has the same effect as drinking a lot of coffee. I do want to test this though. I need to form some type of testing control group. this sounds like a pretty gross experiment.